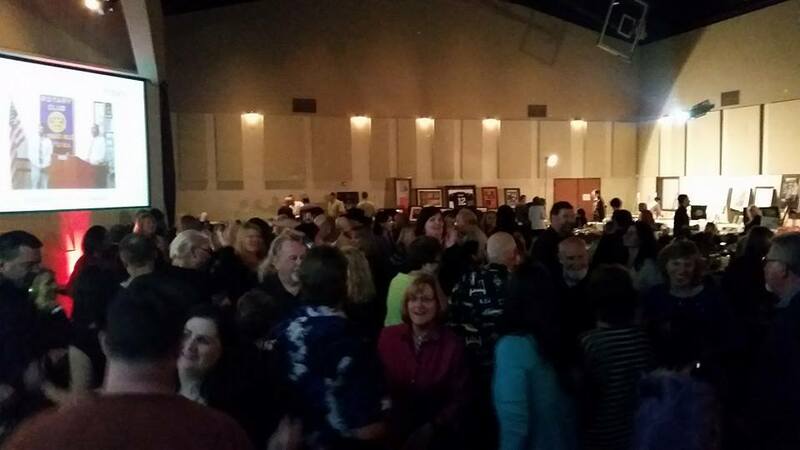 Crab Feed a sold out show! Our club took a chance with a new date, a new venue, new caterer, and new menu for our annual Crabfeed and Dance fundraiser. This chance paid off with a sold out event, excellent reviews all around and raising funds to be used for our programs and projects. Thanks to all our attendees, our caterers Rudy's Hidaway and Hot Rod Randy's BBQ, and our event sponsors: Village Life, Mt. Democrat, El Dorado Disposal, Otto Construction, Garrahan Electric, El Dorado Hills Town Center, Marshall Medical, Debbie Manning EDH Chamber of Commerce and John and Georgi Knight. After all you can eat Crab and Tri Tip attendees had a lot of fun dancing!